Being a bank that is quickly and easily available to customers via a smartphone and does good with sustainable investments – that is Tomorrow’s aspiration. 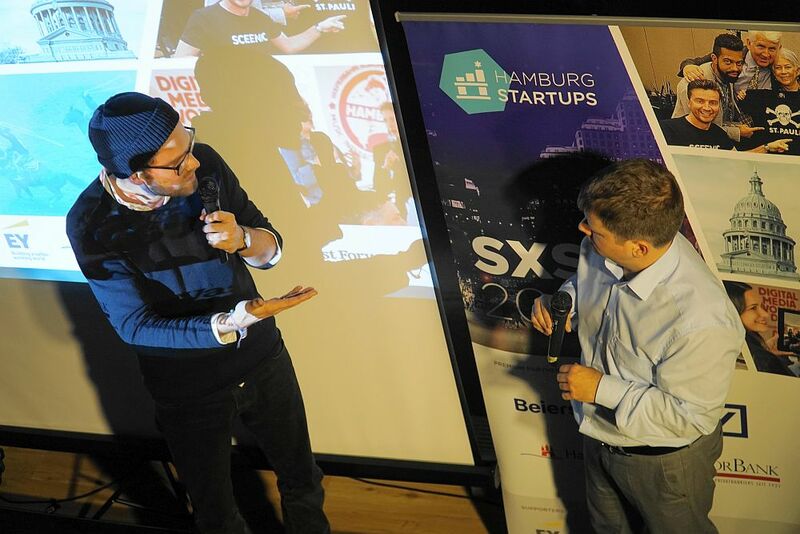 At our SXSW-Pitch, the Hamburg-based Fintech startup won the audience over and will soon be traveling with us to the South by Southwest Festival in Texas. Here we introduce Tomorrow in more detail. “Bad Banks” is the name of an award-winning German television series. The name itself plays with the cliché that banks are somehow “evil” and that profit is always more important than morality in the financial industry. It remains to be seen whether this is so generally true, but the banking industry has been struggling with a bad image since the financial crisis of 2007 at the latest. The need for a “good bank” should therefore be great. For Inas Nureldin, at least, it was when he thought about how he could invest his money without a guilty conscience. Inas studied business informatics and economics and already has some entrepreneurial experience. He once won an Egyptian business plan competition and met Husni Mubarak, then President of Egypt, in this context. As a co-founder of Muddy Boots Software, he provided food supply chain transparency for almost ten years. At some point, the travelling that went along with the job became too much for him, especially since he had just become the father of a daughter. So he was looking for a new field of activity and, in search of sustainable investment products, came up with the idea of founding his own bank: Tomorrow. He found his co-founders through his circle of friends. 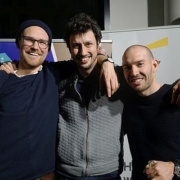 Cultural scientist Jakob Berndt had already made a name for himself as a social entrepreneur with Lemonaid Beverages GmbH, which was launched in 2009. The brands Lemonaid and ChariTea are known throughout Germany and beyond, and in 2016 they were honored with the Deutsche Gründerpreis. In 2017 Jakob, father of three, retired from the company and wanted to take a short time out, but was quickly convinced by Inas’ idea. Just like Michael Schweikart, the third of the founding trio. 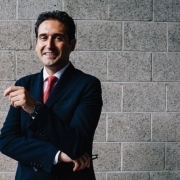 He worked as a financial consultant for companies and for two startups, InStaff and jobs4refugees. At Tomorrow he is also primarily responsible for finance, Inas’ focus is on product development and Jakob is mainly responsible for marketing and communications. In autumn 2017, they made the decision to turn the idea into a real company. At the very beginning there was the plan to offer a sustainable investment product. But it quickly became clear how complex the subject and how narrow the market for it was. So why not start with a financial product that everyone needs: the giro account. However, there is already an abundance of this, as well as a number of banks that are committed to sustainability. 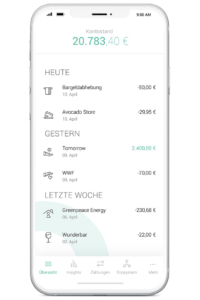 But Tomorrow combines the social component with the simple and modern handling of a mobile bank like N26, which is designed for use with a smartphone. The fintech startup has apparently hit a nerve with this concept. When Tomorrow searched for test customers via the social media in the summer of 2018, after only 20 minutes 150 applicants had registered already. A total of 300 people put the giro account to the test with their real money and real transactions. With the exception of minor inconsistencies, everything went smoothly. Above all, the user-friendliness was optimized, whereby the constructive feedback of the users was a great help. For example, the app now offers a digital budget book in which the various expenses are categorized. What is missing at the moment is the overdraft, but it is still to come. The official launch of the giro account was in November 2018. Anyone who wants to register is currently on a waiting list, which is processed quickly, so do not be deterred. This will soon become superfluous anyway. But what is actually sustainable about Tomorrow? You have to know that all banks work with the money that ends up in giro accounts, they invest it. Tomorrow uses these customer deposits to invest in solar energy or microcredit organizations, for example, and of course not in the arms industry. These are expressly investments and not donations. After all, also a sustainable bank wants to and must make profits for the benefit of its customers. Instead, the Tomorrow credit card has a kind of donation function. For each payment transaction a merchant pays a certain amount to the bank . Tomorrow does not put this amount on its own account, but passes it on directly to a rainforest project in Brazil. Account holders can even use the app to track how many trees have already been planted thanks to their purchases. A few more facts and figures about Tomorrow: Up to three withdrawals from standard ATMs are free of charge, as is the basic account. The monthly fee for the premium account is ten euros. Deposits are protected up to 100,000 euros. Jakob at the SXSW-Pitch with Mark Miller during the Austin-Stress-Test. While the software for the practical application comes entirely from Tomorrow, the partner solarisBank, which has a banking licence, ensures that the startup can act like any other bank. 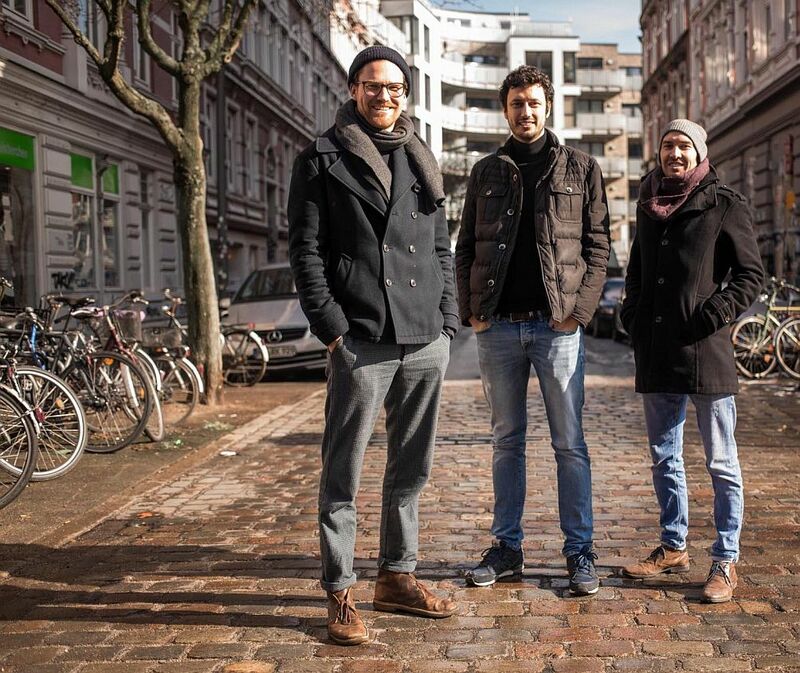 Even though the team now consists of 15 people, a banking license of the kind held by competitor N26 would still require far too much effort. More important now is the further expansion of the range of account services and the development of own investment products, as originally planned. Tomorrow has been financed by business angels so far, but investors are of course welcome to help the fintech toprogress even faster. Maybe Jakob, Inas and Michael will find them in Austin, Texas in March. 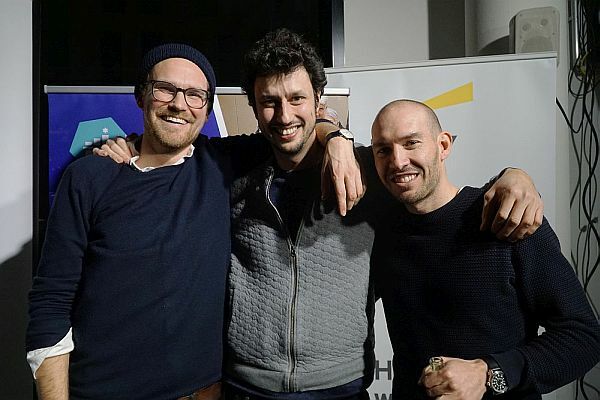 After the success at our SXSW-Pitch with winning a trip to South by Southwest, all three want to fly to the USA. 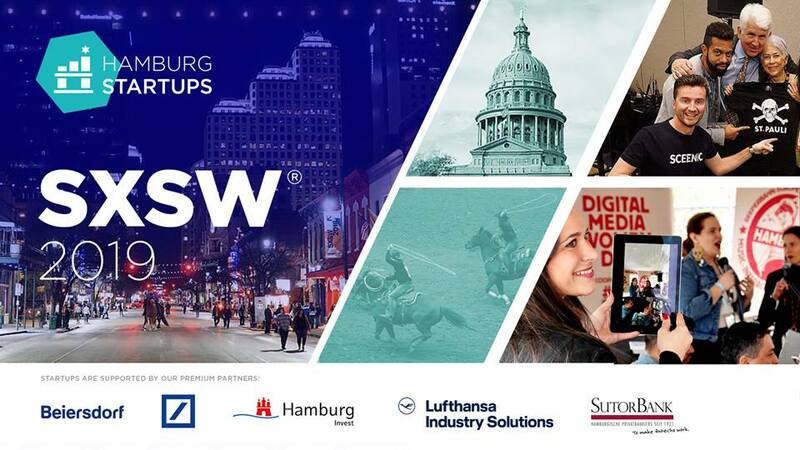 How they are doing there, you can read in our detailed report about the experiences of the delegation of Hamburg Startups at SXSW!